When you get a new satellite receiver, you’ll have to activate it. There are usually several choices. You can go to the provider’s web site, which is great if you know what you’re doing. You can call the provider (DIRECTV or DISH) on the phone, which is absolutely fabulous, as long as you get a good person on the other end of the line. With about 40,000 people working at their call centers, you’re bound to get a few questionable ones. Admit it, with your luck, you’re going to get the trainee. That’s why you need to call Solid Signal when you get a new receiver. It’s not just about getting the thing turned on and getting to live TV. I’ll admit, if you’re an expert and you just need to get to live TV, there’s no faster way to do it than the internet, and as long as everything goes well, you’ll be up and watching in no time. However, there’s usually more to it than that. An activation expert like the ones at Solid Signal may be able to help you find ways to save money. You may be eligible for upgrades or a new programming package at a discounted rate. You may have credits you’re not using. You may not be aware of the latest information, the stuff that can make your experience better. For example, did you know that you can control your DIRECTV receiver with your voice? You’ve had this capability for about four years and you’ve never used it. You’ve realized that everything is harder and more expensive for businesses. Unfortunately this is true for satellite TV too. That’s why you need an activation professional on your side when you’re ready to put in another receiver. DIRECTV and DISH have commercial programs where you might just pay less than you pay at home, and still be on the right side of the law. If you’re running a business, did you know that you need special commercial receivers for satellite? If you’ve gotten the wrong receiver, it either won’t activate or it will trigger a fraud alert in your provider’s systems. Either way, you lose. Solid Signal is a DIRECTV for Business and DISH Commercial dealer, and we can make sure you don’t fall into that trap, which can cost you a lot of time and money. You know that DIRECTV’s own installers have access to a special hotline which lets them activate a receiver properly. If you’re jealous… don’t be! Call Solid Signal’s activation specialists. We have access to the same tools the field tech use and that means you can get set up with a professional who will make you look like a champ to your customers. At Solid Signal, it’s all about relationships. If you activate a lot of receivers, you’ll be able to call the same person over and over again to get things taken care of. If this is your first time activating and you’re probably not going to make any other changes to your satellite TV system for a while, you’ll get a friendly voice who can guide you through every step. Everyone wins with Solid Signal. Here’s an extra bonus — Solid Signal’s activation lines are all staffed from our call center in Novi, Michigan right here in the good old USA. Not only are we providing Americans with jobs and feeding American families, you’re getting an American on the phone who understands the language and culture. DIRECTV and DISH are still behind Solid Signal when it comes to creating a 100% American workforce. 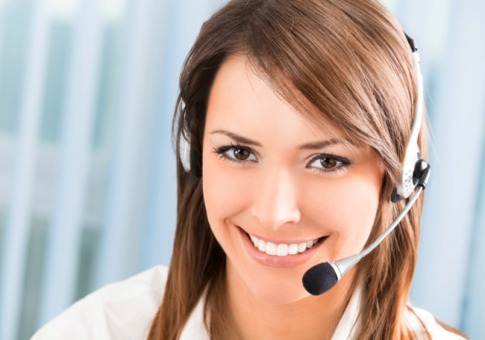 We believe that giving you a call center in the USA means a better experience for you and that’s what’s most important. You have a lot of choices for entertainment, and even if you choose satellite TV, you have a lot of choices when it comes to the people you deal with. I hope you’ll call the fine people at Solid Signal at 877.312.4547 whenever you need to activate a DIRECTV receiver. You’ll be glad you did!